I am leading a landscape photography holiday in Shropshire for HF holidays in July. I took the opportunity recently to revisit the planned holiday locations in order to choose the best places for photography. It was an excellent few days and I am really looking forward to July. 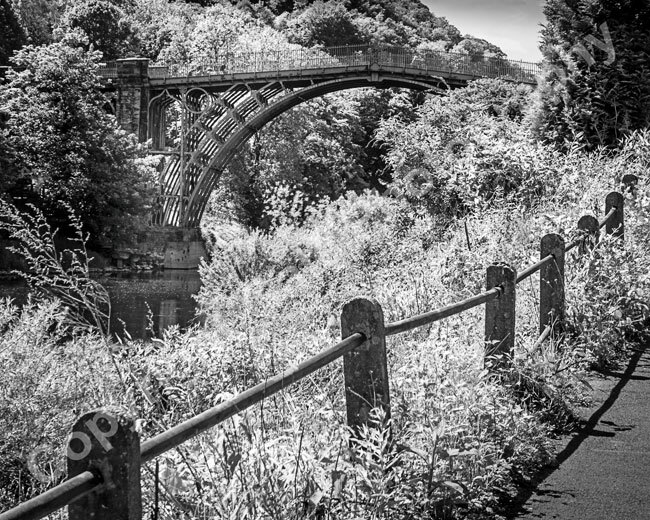 This image from Ironbridge uses the post and railing next to a footpath to take us to the hidden right-hand end of the bridge. Your eye then arcs back to the rest of the bridge’s arch. I made sure the railing started from a corner of the frame so it had the greatest strength. I converted the image to black & white to simplify it, as there were very many shades of green. 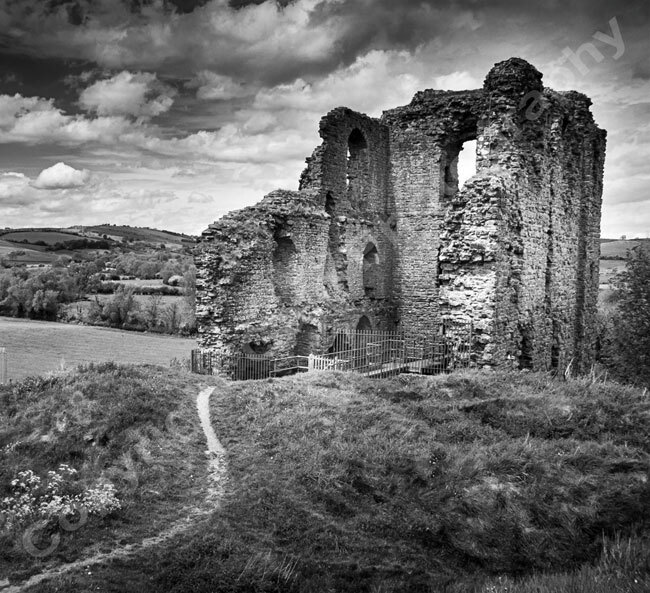 The curving eroded footpath in this shot of Clun Castle take us directly to the main body of the ruin. I felt that this sort of image needed a bit of atmosphere, so I darkened the sky over the hills in the background and darkened the grass in the foreground. The back & white conversion makes the image look a little bit more “of its time” than modern. 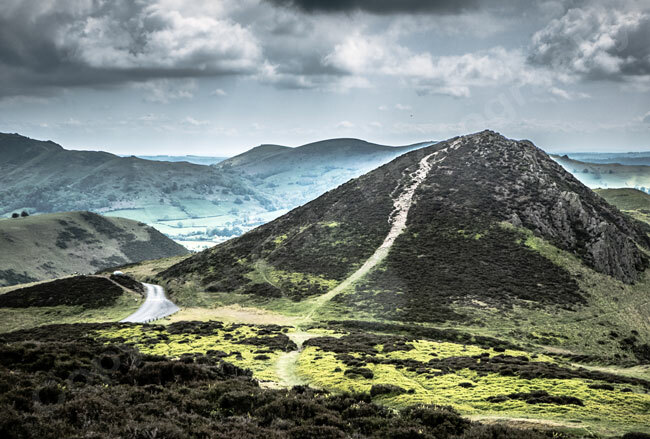 One of the locations we going to visit is the Long Mynd. It’s a very interesting hill in photographic terms in that it’s flat and mostly featureless on the top with very few trees. The views from the hill are spectacular though! The lead-in line here is a bit more subtle. It’s the footpath coming in from the bottom right-hand corner. It takes us to the much brighter track up the nearby hill and also to the road curving down to the left. There are some delightful recession planes in the distant hills. © 2019 Gale Photography|ProPhoto4 by NetRivet, Inc.